Dar El Awlad Boys’ Home was founded in Beirut in 1948, and is currently the longest running Kids Alive program. As a home and safe haven for 30 orphaned or neglected boys, this ministry has been vital in breaking the cycle of poverty and violence for the most vulnerable. 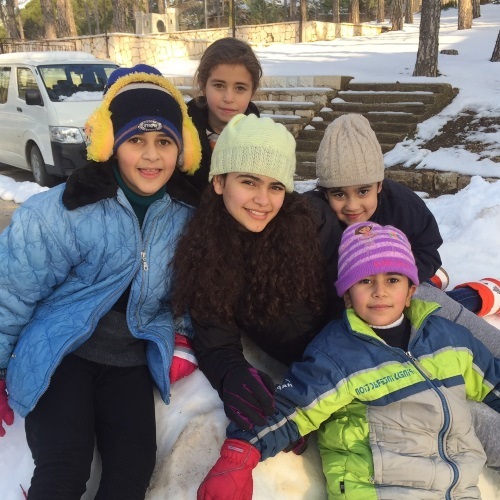 But Kids Alive supporters began to ask, “What about the girls?” This obvious need led to the opening of the Home of Serenity for Girls in the Shouf Mountains outside Beirut in 1996. A local church now helps manage this critical ministry, with support from Kids Alive. Quality holistic care is provided to 8 vulnerable girls, aged 6-14 years, in family-style apartments. In addition to housing, the girls receive nutritious meals, clothing, and medical care, and they attend a nearby school for their education. The buildings of Serenity Home are on a beautiful campus which houses bedrooms, meeting rooms, and a large dining room. Our most important goal is sharing the Good News of Jesus and discipling those girls who make commitments of faith. Your support gives girls in this volatile region the tools to lead successful, independent lives. We are encouraged that one of our alumni recently received a full scholarship at the American University of Beirut, and she graduated last year with a degree in electrical and computer engineering. She's willingly volunteering to help senior classes at the Home of Serenity by tutoring on the weekends. Another one of our girls who is a brilliant student received a scholarship to the Lebanese university and is doing very well in her second year of chemistry studies. Through your commitment, you have an influential role in our girls' lives as they grow, learn, and pursue their academic and professional goals. And beyond these important pursuits, they are learning what it means to live for Jesus on a day-to-day basis. Support the Ministry of Home of Serenity for Girls with Your Gift Today.